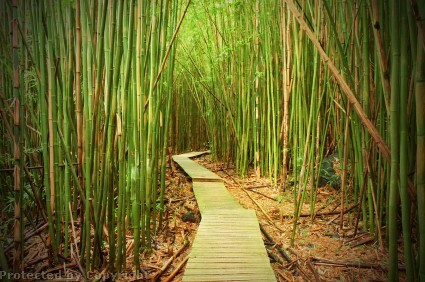 Maui's bamboo forest along the Pipiwai Trail is a majestic sight indeed, and well worth the 1 mile hike to get there! You don't have to worry about missing it either - once you get here, you'll know! As far as the eye can see, dense groupings of bamboo stalks are everywhere. If you want the easiest possible way to see the bamboo forest, I've personally gone on this hiking tour and it was one of the most incredible days of my life - I loved every minute of it and the company running the tour is top-notch! If you think you might want to do this hike on your own, then keep reading. 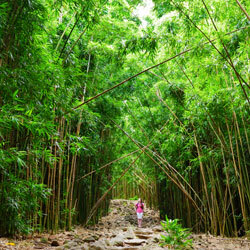 This trail has so much more than "just" the bamboo forest. 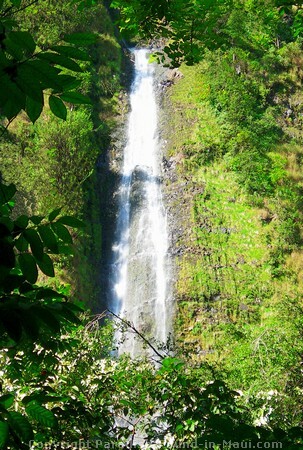 Along the way you'll pass several waterfalls, including the 200 foot Makahiku Falls with the "Infinity Pool" at the top. I don't recommend indulging in a swim at this pool though - if a flash flood came along, you'd be swept down the falls in the blink of an eye. Just before you reach the bamboo forest, you'll cross a stream via a couple of metal bridges - hold on to your sunglasses so you don't lose them like I did - mine fell off and were lost as I was admiring the gorgeous views over the rail. As you come off the last bridge, you'll be entering bamboo territory. The bamboo forest goes on for about half a mile and is quite the sight to behold. 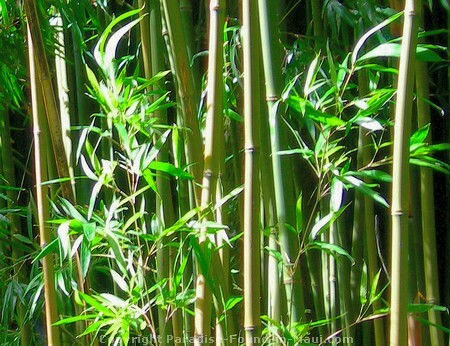 When the wind blows, the sounds of the bamboo stalks bumping into one another is almost musical. Cool fact: If you reach out to touch the leaves you'll find that they are quite sharp! At the end of the bamboo forest, you'll come to a shallow stream bed that you'll have to cross. If it's calm like it was for us, you'll be able to keep your feet dry by picking your way over the rocks. If the water starts to rise quickly, it may be a flash flood, so get out of there fast! 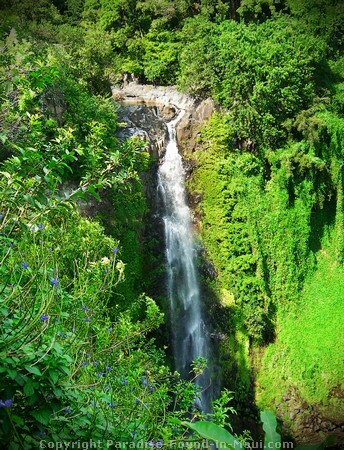 Continue to follow the trail, and you'll be rewarded at the end of the trail with a glorious view of the 400 foot Waimoku Falls. If you made it this far, then you'll have hiked the Pipiwai Trail for about 2 miles now, and it's taken you anywhere from 1-1.5 hours. This affliction can be fatal! You'll see warning signs here at Waimoku Falls that advise you to keep well back from the base of the waterfalls due to the danger of falling rocks. And then you may very well see people throwing caution to the wind, splashing about under and around the falls, enjoying their moment of rapture. And my, oh my, does that ever look awesome. Seriously, it does! People have died doing that when a rock fell down and landed on their head. The last one I read about was particularly tragic, a child. True story. So please, for the love of Pete, resist the forces of OMG-I-See-a-Tropical-Waterfall-and-Must-Swim-Under-it-Delirium, and obey the park's warning signs telling you to stay back. There are safer choices if you want to hang out under a waterfall. 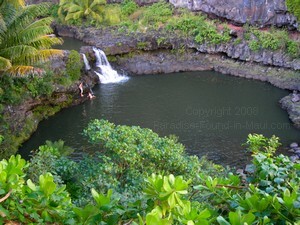 For example, by going on this highly recommended tour, or by checking out Twin Falls (get directions in this article). Tip: Do wear mosquito repellant. This is a mostly shady trail through damp jungle and the mosquitoes love it in here! Don't be a meal for a mosquito! Protect your feet from stinging centipedes! I recommend a pair of closed-toed runners or hiking shoes. Maui's jungles are home to some larger centipedes that can sting you - the closed toes shoes will protect your toes if you happen to kick one up while walking. Stay cool by dressing light! Most of the trail is shaded, so you won't have to worry about sunburn overly much - leave your long-sleeves and pants at home. However, despite the shade, it tends to be very warm and humid on the trail - keep cool in light clothing that breathes - my favourite choice is a tank top and shorts. 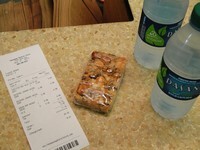 Food and Water: Stock up on whatever supplies you want for the hike in Hana since you won't find anything near the trail itself. Drive the Road to Hana, Maui all the way to the town of Hana, and keep going for about 10 more miles. A bit past mile marker 42, you'll see the entrance to Haleakala National Park, where you will either have to show your park pass, or pay an entrance fee of $10 per vehicle. (current at the time of this writing) Park your vehicle, then cross the highway to get to the Pipiwai Trail. There are washrooms that can be used here, if needed. 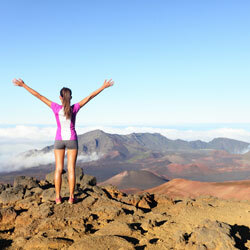 If you plan on coming here without a tour, the only way to do it is via renting a car. But don't make the mistake of putting off your car rental booking for too long. 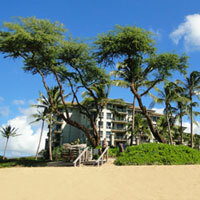 There's a limited supply of rental cars on the island, and once they're gone, they're gone. Also, prices tend to be higher if you book too close to your vacation dates. So if you can, book your rental car now on a site like Expedia or Priceline to make sure you'll have one when you need it. Sooner is better than later. 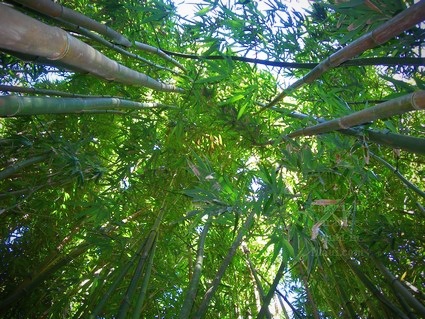 Want to see wild bamboo plants, without having to "hike Maui?" 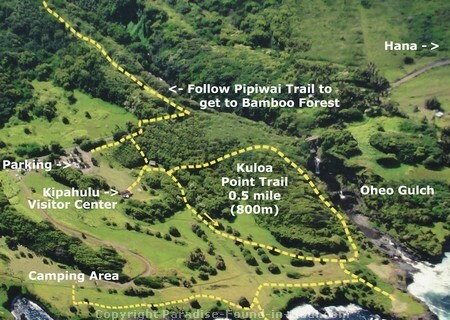 If you'd like to check out a wild forest of bamboo without having to hike through the jungle to get there, another option is to head for just before mile marker 7 along the Hana Highway. If you drive just a bit past mile marker 7, there should be room to pull over for a good look. Granted, this much smaller forest is not nearly as majestic as the massive bamboo area described above, but if you're short on time or not able to do full-on hike, it's better than nothing. There's a famous little store, that all the guidebooks write about, in the nearby town of Hana. It's a great spot to stop for last minute supplies. Click here for directions to Hasegawa General Store. 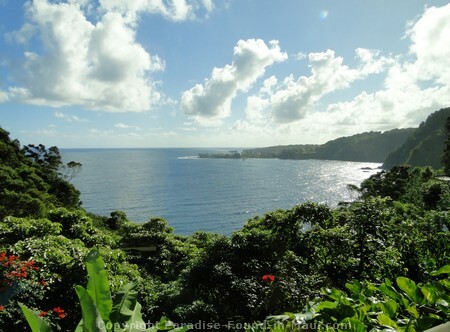 You have to drive the Road to Hana to get to the bamboo forest hike - if you don't want to miss out on the best sights along the way, read this: Mile-by-Mile Guide to the Hana Highway. 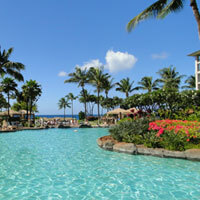 It's a long drive to get here, and staying the night in Hana is one way to avoid feeling rushed. 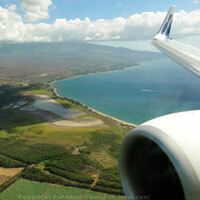 We've done it both ways (driving from the more touristy areas of Maui to here and back in one day vs staying overnight in Hana) and no doubt about it your experience will be much more relaxed if you can stay overnight in Hana. Don't get me wrong - it's possible to get here and back in one day, but it's nicer if you don't have to.